Today, it is known that the messaging system used on smartphones is the most emergent economy for the last years. Some very small companies try to challenge big brands plateform like Wechat. Nowadays, text and voice messaging, other services like video chat, video calling, possibilty to share videos or photos, attract more than 300 million of people. Indeed, populations love to share their life and meet new friends. Therefore, some of companies decide to use this attractive area to create a business and engage customers through this kind of plateforms to promote their brands. Obviously, they use the most famous of them all, Wechat. 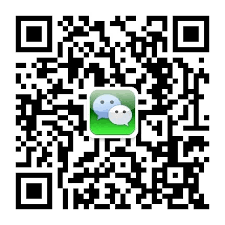 Here are some advice to use Wechat for your business. First, people need to be attracted by your verified account. Indeed, Chinese people take care of the way they browse through an app. Consequently, your brand must absolutely get a fluent usage. Users should be able to become a new member of your network thanks to an easy way. They could scan QR code and share their account. First, this is very important to welcome your members. In addition, to adapt your marketing strategy to loyal customers, you have to ask them indirect questions in order to get the answers through attractive videos, tests, photos, etc… This will allow you to notice much easier what your followers really want. Finally, you have to keep a confidential zone between each customers. You have to create your brand QR code so that your customers can scan it for any reason such as purchase products, get a free Wifi pass, get some interesting promotions… Your QR code has to be around all your business area. Then, you can include your QR code in your packaging and share it on your Wechat page to highlight your propositions and your skills. This will make your brand even more famous and will attract more audience. You can display an idea of your brand logo. The members can post their suggestions so you can decide to keep this logo or just change it. This strategy allows you to check your followers wishes. In this way, they feel flattered to participate in your business. Getting loyal followers is really good. But don’t forget the other users you need to register too. Indeed, in order to attract them, you can create a Wechat API services and post promotions, offers with low prices and pictures to promote your brand. Getting a mini Website in order to promote your brand is very important. On this website, two-level menus exist in order to manage the interaction between your memberships and the others. So, there is a menu for members who already have an account and one for other users, to explain the brand’s activities. To sum up, thanks to Wechat, professionals can promote their brands and manage their customers community order to adapt their strategy to them. How to optimize your WeChat Social media Campaign ?